The food you feed your puppy in his first few months of life is going to make all the difference. 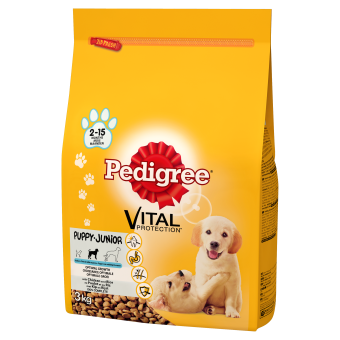 If you want to be certain that he is going to grow into a strong and healthy adult dog, you need to make sure that the food you are feeding him contains the correct balance of essential nutrients and vitamins ? which is exactly what you get with Pedigree Puppy Pouch. Keep it fresh, keep it tasty That?s the way to make sure he keeps his appetite. And that?s the beauty of our special resealable foil pack.